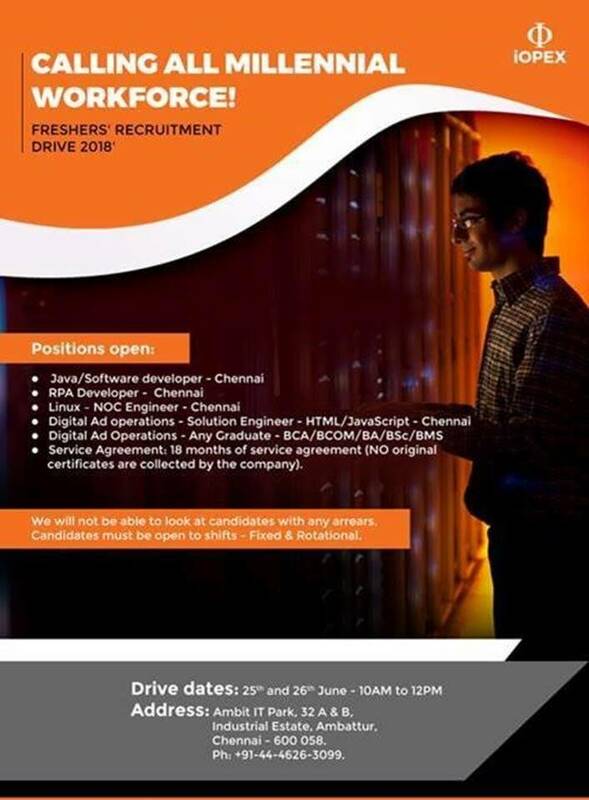 iOPEX Technologies Off Campus Drive scheduled for a role of Technical and Non-Technical (Digital Ad Operations) positions for 2018 Batch B.E/B.Tech/Any degree graduates at Chennai. The detailed eligibility and venue details are given in below. We will not be able to look at candidates with any arrears. Candidates must be open to shifts – Fixed & Rotational. Service Agreement: 18 months of service agreement(No original certificates are collected by the company). 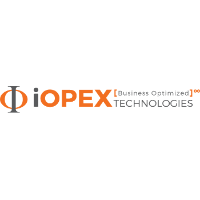 How to apply iOPEX Technologies Off Campus Drive? Interested and Eligible candidates can attend this drive at the following venue on 25 & 26 June 2018.